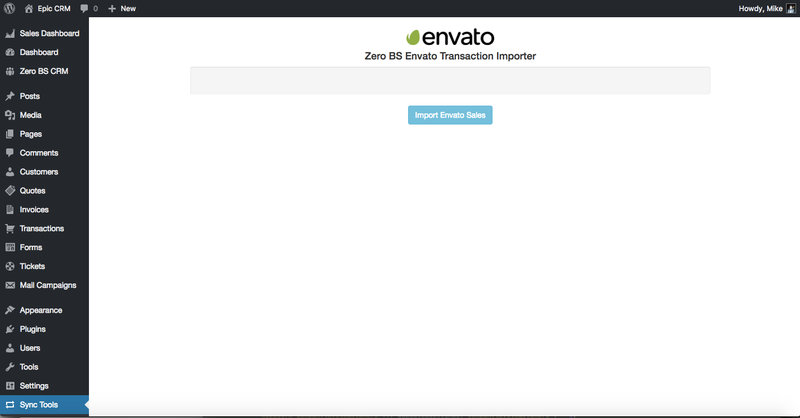 New Feature Import transactions from Envato. How are your items performing? You can access your sales history from Envato’s Author Dashboard but with the ZBS CRM Envato integration it helps you brings your transactions into your own CRM. See how your sales are doing over time including your Envato sales too. Want to visualise your sales in our powerful Sales Dashboard. This extension gives you the tools to add your Envato revenue into the mix. Does it import customer information? I’m afraid not. Envato do not give customer information (name and email) to Envato Authors so we have no way of importing the customer data into the CRM. Instead we import the item sales and then you can use the CRM to assign these transactions to your customers. This extension makes your life easier by bringing your Envato revenues into your Zero BS CRM. Envato Connect is included in the Entrepreneur's Bundle - join the other happy entrepreneur's, save $$$ per year and get instant access to every extension!